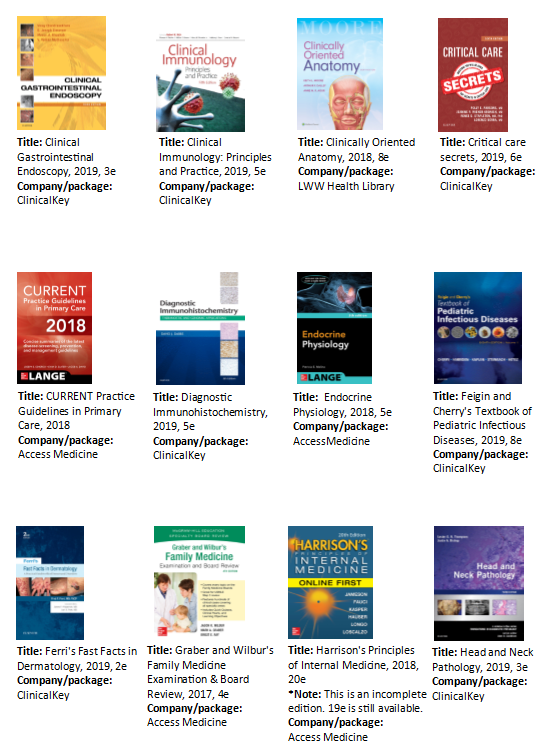 Now available at Dana, check out these New and Updated e-books! 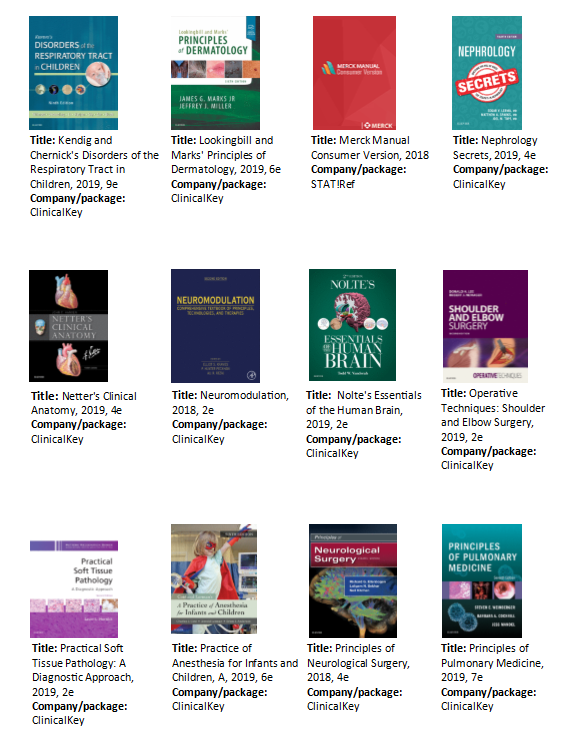 We have new titles on aesthetic surgery techniques, neuroanesthesia, hearing loss, urinary tract symptoms, and cerebrovascular diseases. 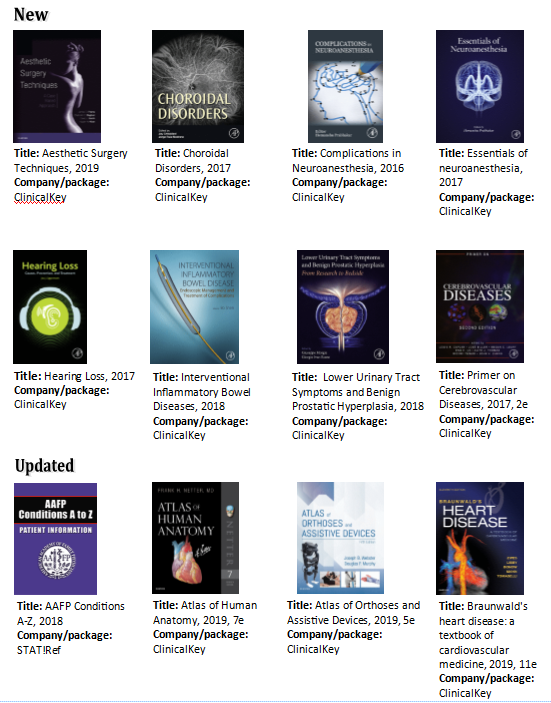 We have updated titles like AAFP Conditions A-Z, Atlas of Human Anatomy, Braunwald’s Heart Disease: a textbook of cardiovascular medicine, and Harrison’s Principles of Internal Medicine. 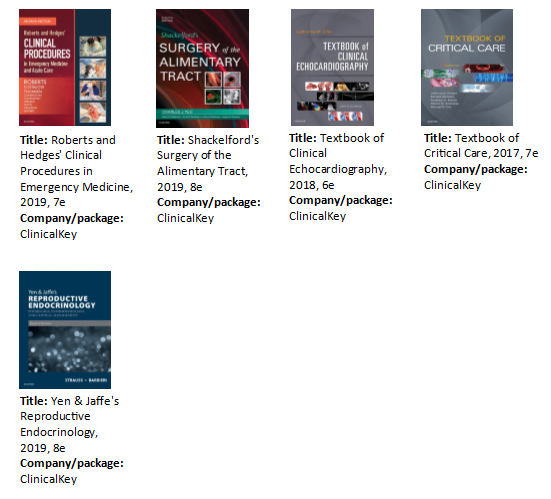 See the full list of our Early Spring New and Updated E-books below.